1st Lt. M.B. Parker, son of Mr. and Mrs. K.D. Parker, graduated from Victory High School and Cameron Jr. College; husband of the former Edna Argyle. Entered Air Corps in Jan., 1943, trained in Sheppard Field, San Marcos, Ellington Field and Springs, Texas, Salt Lake City, Utah, Blythe, Cal. 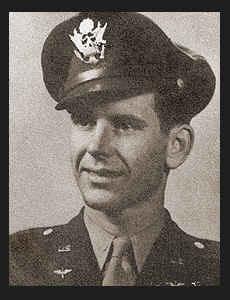 ; served in Brazil, N. Africa and England; was discharged in Oct. 1945. Awarded Air Medal, DFC with three Oak Leaf Clusters, Pres. Unit Citation.